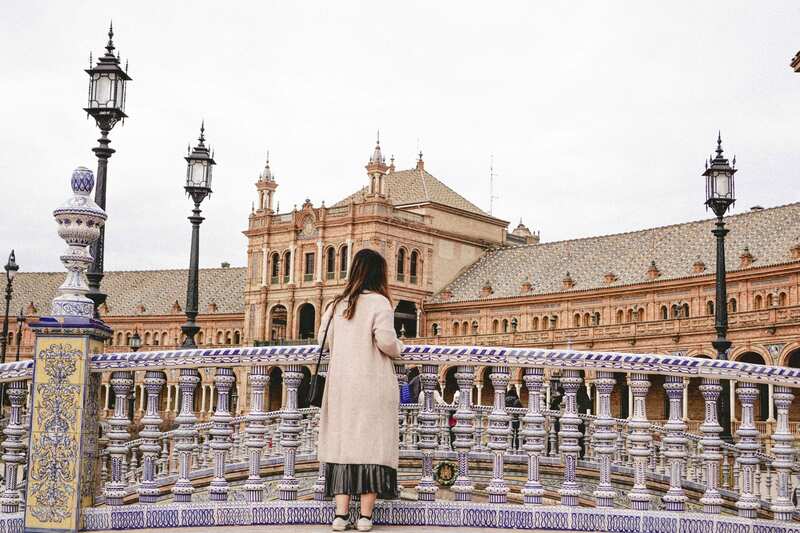 2 Days in Seville: Top Things To Do in Seville, Spain | The Atlas Edit. 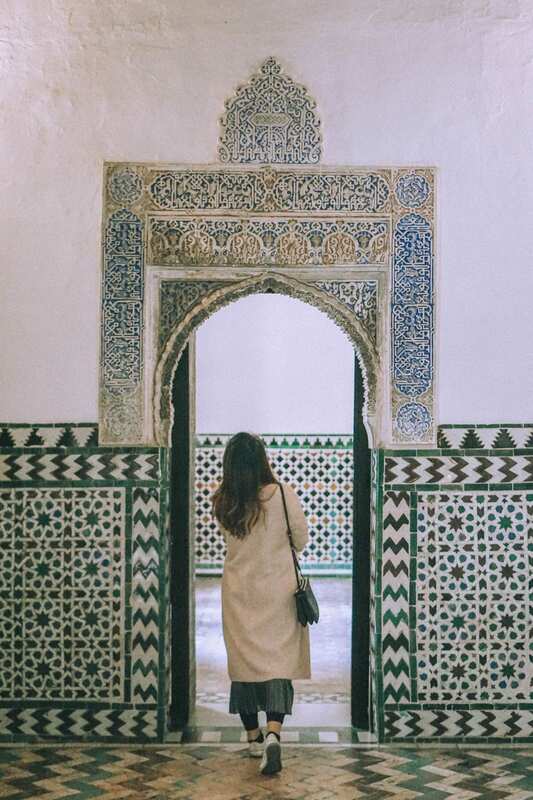 When I was planning my trip to Spain, I knew that I definitely wanted to make a stop in Seville to see the Real Alcázar of Sevilla. Little did I know that I would be falling in love with this charming city for everything and more–from its breathtaking sunsets to its stunning monuments, new and old. Follow me on my itinerary as I seek out the top things to do in Seville in 2 days! If you follow my itinerary, you will be arriving from Granada, which is a popular route a lot of travelers choose since the two cities are so close to one another. You can either take the bus or train but I found the bus to be cheaper. 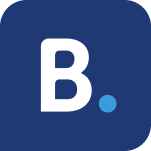 When planning our trip around Spain, we found GoEuro to be the most useful website when comparing departure times and prices from across multiple bus and train companies. If you plan on taking the train, you can do so from Madrid, Barcelona and most other major Spanish cities. Trains are operated by Renfe and can be booked on their own site or Rail Europe, which is more user-friendly for non-Spanish credit card holders. We took a 3-hour bus ride from Granada to Seville and arrived mid-morning. Unfortunately, it was Christmas morning so everything was closed! Plus, it was raining so we were confined to only indoor activities. So keep that in mind if you plan to come over the Christmas break or winter as it does rain quite a bit during this period. We spent the rest of the day walking around trying to find luggage storage that would stay open past 10pm as our bus was leaving Seville for Lisbon at midnight the next day. If you’re having problems storing your luggage, read on to find out how we managed to solve this problem. So let’s get started with the sights of Seville! In the evening, we walked down the Guadalquivir which is a river that cuts through Seville, and is so romantic, especially during sunset. And this is where I realized I was in love. With Seville. We walked to Torre del Oro where we met our tour guide for our Free Walking Tour with Heart of Sevilla Free Tours. Again, I love my free tours! 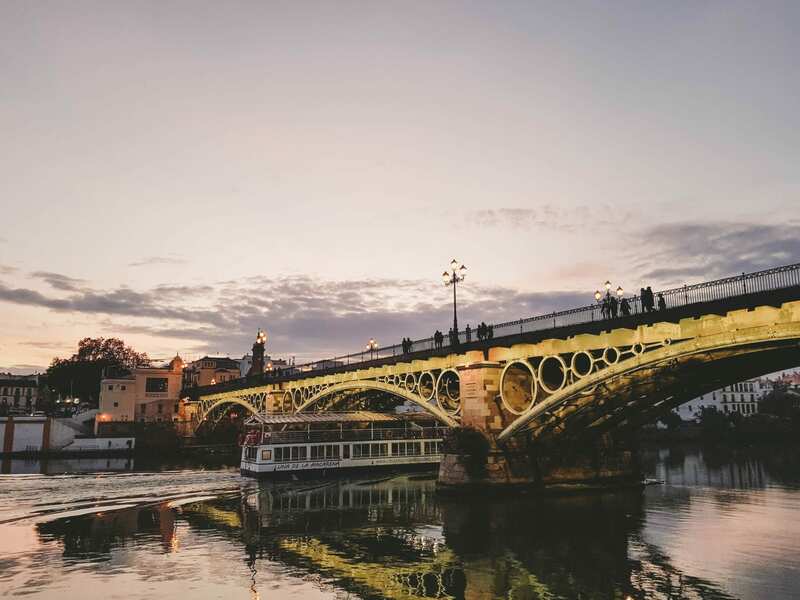 They have a range of tours to choose from but we loved their night Triana Bridge tour. We were taken across the Triana Bridge and got to explore an entirely different side of Seville! This is a quiet little boutique hotel with a handful of rooms located within walking distance to Metropol Parasol. The room was clean and pleasant and even had a little balcony. The only drawback was that they don’t have luggage storage which caused us to hunt around the city for a place to leave our bags. More on that later! 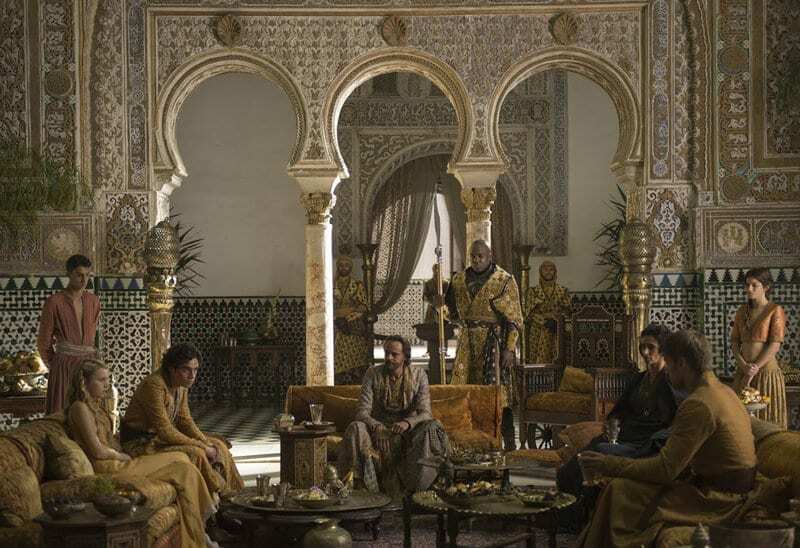 So today we channeled our inner Martells and visited Dorne. Or in the real world, better known as Real Alcázar. I was super excited to visit this palace as it was used as the set of Dorne in Game of Thrones! 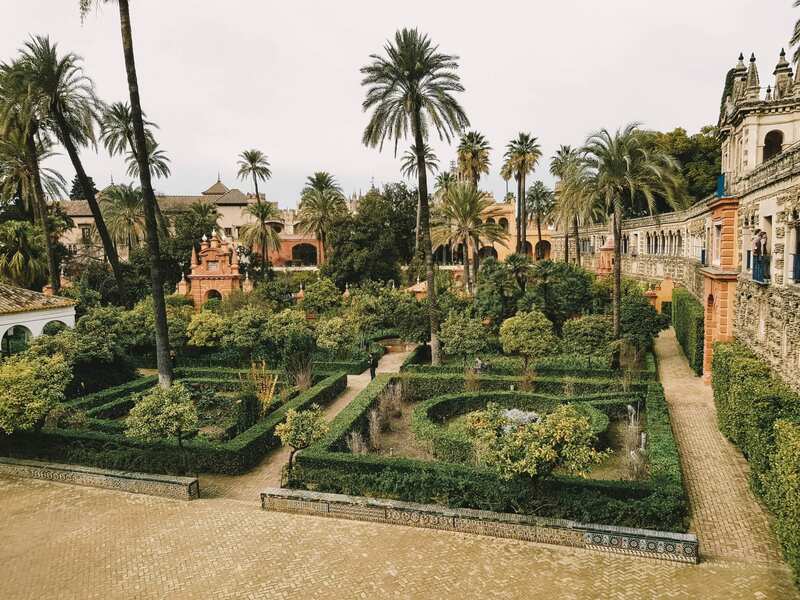 The Real Alcázar is a royal Mudéjar palace originally built by the Moorish empire. It’s the oldest royal palace still in use in Europe and is now a UNESCO World Heritage Site. It’s said to have been modeled after the Alhambra in Granada so these two palaces are often put in comparison. Alcázar is often to referred to the ‘smaller Alhambra’ so is it still worth a visit if you’ve seen or are going to see the Alhambra? Absolutely, this is definitely one of the top things to do in Seville. If we could’ve done it differently, we would probably have loved a guided tour so we could learn about the rich history of this palace. Nevertheless, we had heaps of fun looking for Game of Thrones locations throughout the grounds of the palace. Check these out! Just a short walk away from Real Alcázar is Plaza de España, that I greatly underestimated! For shame. Coming from Granada, I wasn’t expecting much from a ‘plaza’ because Granada’s very own Plaza Nueva was a tad disappointing as it was essentially just a large open area lined with shops. So, Plaza de España wasn’t high on my list but decided to go anyway since it was so close to the Alcázar and we had some time to kill. Man, was I blown away! 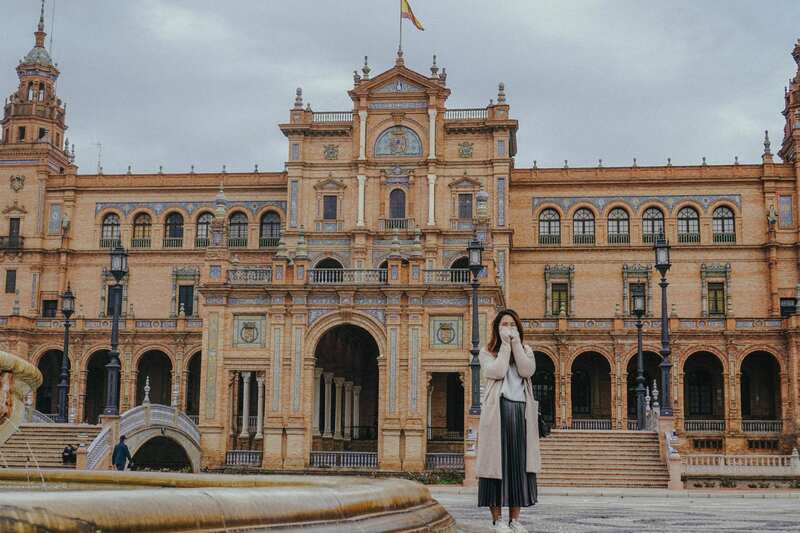 Plaza de España is huge, and the grandeur of the complex really leaves you in awe. Known as ‘the Venice of Seville’, there’s also a canal running through it where you can row your own boat! No singing gondoliers here though. It was certainly one of my favorite spots in Seville which made me fall deeper in love with this magnificent city. Walking back up towards our hotel, we stopped by the ever-famous Seville Cathedral, where Christopher Columbus’ body is believed to be buried. It costs €8 for both the Cathedral and Giralda tower, where you can get a bird’s eye view of Seville. Psst! Visit on Sundays for free! On the way, we spotted a Maserati taxi and were so wowed. Is this normal in your country? Mushrooms? What? Another 10 minutes walk takes you to Metropol Parasol, locally known as Las Setas, or ‘The Mushrooms’. You can take the elevator up for just €3 and watch the sunset on Seville–something not to be missed. Tickets can be bought in the basement next to the Antiquarium. Make sure to time your arrival properly as there can be quite a queue especially during sunset! We probably waited about 20 minutes in line, so I would suggest arriving at least 30 minutes before sunset to be safe! Once here, you’ll probably see the prettiest sunset ever… At least that’s what we thought. We couldn’t stop wow-ing every few seconds because it was just so breathtaking, especially when they light up the monuments around the city. Residents of Seville find this sculpture a real eye-sore but I actually find it to be so pretty! And very photogenic, as you can see! For dinner, we headed to a very famous Tapas bar, Taberna Coloniales recommended by our tour guide. We waited about 45 minutes for our table cause they were just that popular. After that, we planned to go for a free Flamenco show close by but because we waited so long for our table, we had to leave for the bus station! If you can spare the time, I’d definitely recommend checking out La Carboneria. You’ll just need to buy a drink or maybe some snacks, and you’ll get a free flamenco show! It’s way less touristy. We probably did walk through this neighborhood when we were walking past Seville Cathedral, but I wish we had more time to wander around the streets and try some tapas bars or cafes. We could have definitely done it on day one if it wasn’t Christmas and shops weren’t closed. 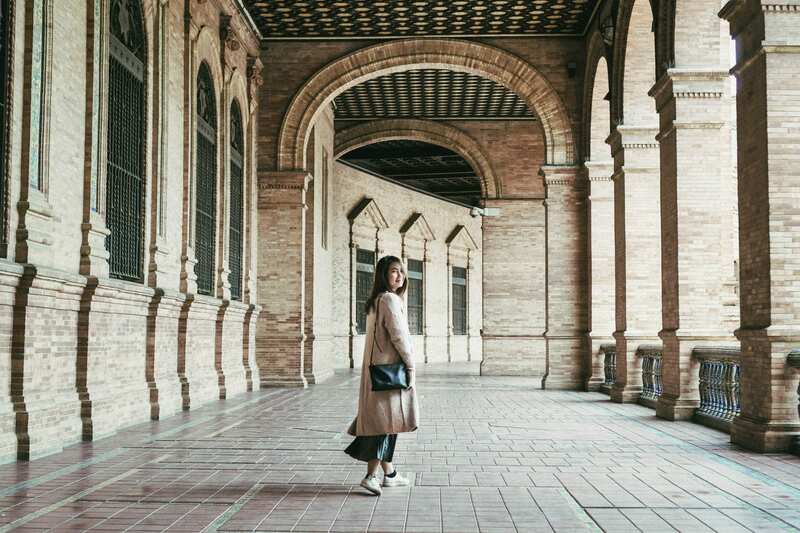 This is something you should definitely do when you are in Seville! Okay, I wanna tell you about our little adventure in Seville. 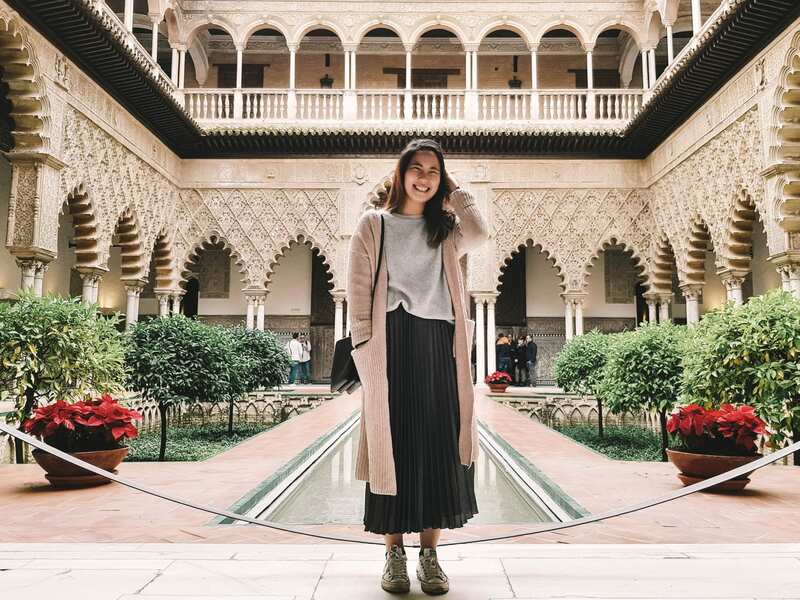 In order to maximize our time in Seville, we decided to arrive early in the morning, spend one night in a hotel, and then leave on the last bus out the next day. Unfortunately, due to miscommunications with our hotel (mainly due to language barriers), we found ourselves stuck with our luggage from 3pm to midnight after check out! Boy, was it hell an adventure trying to store our luggage somewhere because we didn’t want to lug it around with us on a full day of sightseeing. Poor Sammy had to run around almost the whole city with two 30kg suitcases in tow to find lockers for us. So, upon arrival, we scouted for places to store our luggage but most manned lockers closed at about 8pm. Then, we found coin lockers in the bus station which were perfect so we thought, “Okay, problems solved! Hallelujah!”. We could just drop off our bags at the bus station early in the morning, go off a full day of sightseeing, and then pick them up right before our bus leaves. Sounded like a perfect plan! But well, what’s a vacation without a little wrench thrown into the works, eh? The next morning, Sammy set off to the bus station to drop off our luggage while I stayed in the hotel to get ready and also because… it was that time of that month. Boo. He’s a faster walker anyway and figured I’d be slowing him down if I went. So off he went! Alas, by the time he got there, all the large lockers were fully taken! Why thank you, unknowable universe. So we had to scramble to find other options, knowing that we were short on time and it was raining. After a lot of frantic Google searching, I found this app called Keepiz, which is, if you ask me, completely genius. 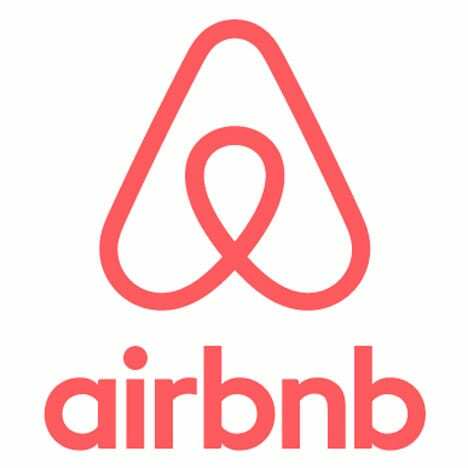 They are like the Uber of luggage storage services, in that they source out hotels, bars, and shops with extra space for you to leave your luggage. We found an education center close to us that closed as midnight which was perfect for us! Thank you Keepiz! Keepiz is currently available in most major cities in Spain. You can select the time you’d like to drop off and collect your luggage, and the app will search for the nearest drop off points that cater to your timings. You can even drop off your luggage at one point and pick them up at another. If you have any issues storing your luggage like we did, Keepiz is a life-saver. Check it out and thank me later! So, there you have it. These are the top things to do in Seville in just two days! Could we have done it in just one day? Perhaps. 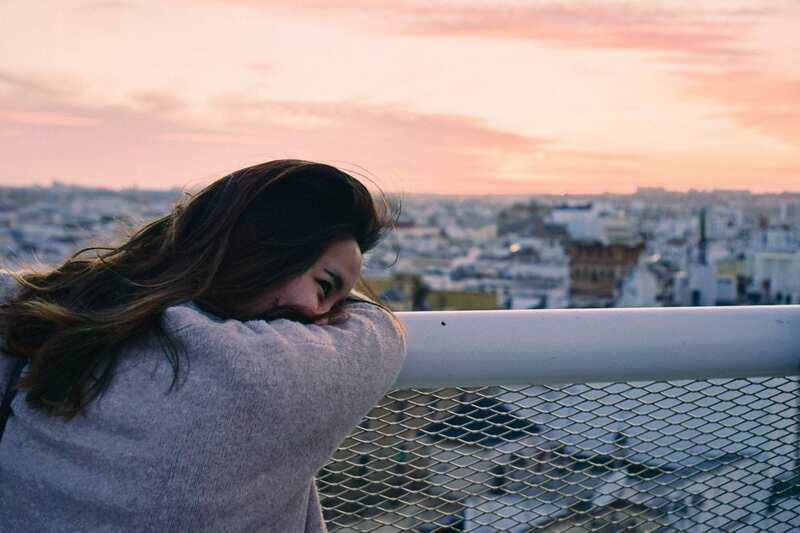 But Seville has such character that you really need to experience it from much more than just the Alcázar or the Cathedral or Plaza de España. Two full days seems like a perfect amount of time to have a feel of the city. Til then, I can’t wait to return here someday. 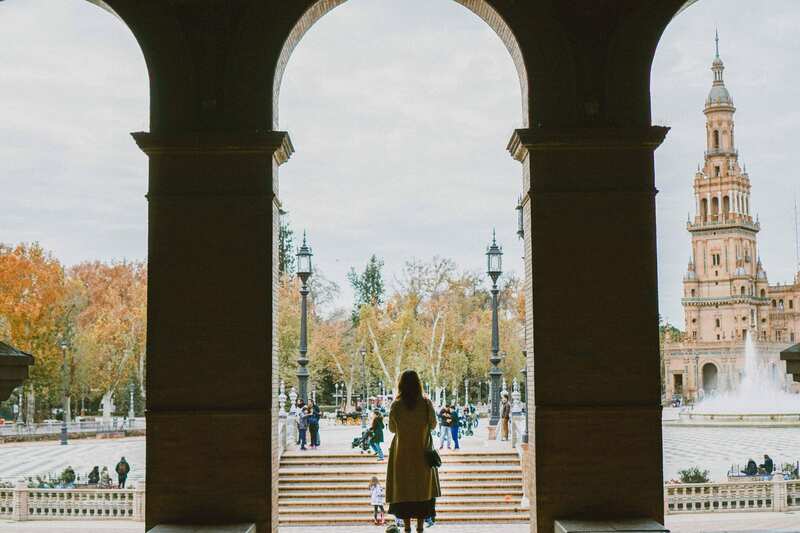 Which of these things to do in Seville seem the most attractive to you? I surely couldn’t pick just one cause I loved them all! Let me know in the comments below! I’ve never seen anything about the mushrooms before, they look amazing! 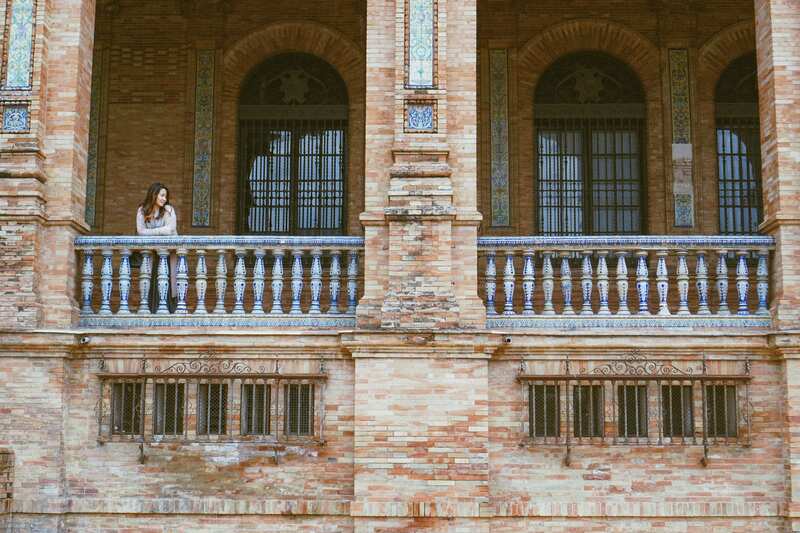 Plaza de España looks breathtaking too. Cannot wait to visit this summer, thanks for some top tips! This place looks lovely!!! Your pictures are stunning and captured it perfectly!! It’s probably not the most popular city, but it should be cause it’s stunning! You will love it 🙂 thanks for reading, Mel! I loved Seville, but only had a short time on my way through to meet a friend in Portugal. I missed a lot…including most of the stuff you’ve blogged about here! I guess I will just have to go back someday. Thanks Anna! Can’t help but smile when everything is just so beautiful! Omg I love this! I have always wanted to go to Spain! WOW the architecture there is amazing, now it’s definitely on my list! It really is! Yay, you’re gonna love it there! Sevilla has always been on my list. I began learning Spanish because i wanted to visit Spain someday. Thanks for sharing. That’s so awesome! We learnt a bit of the basics of Spanish along the way while we were there for a week. Enough to get by hehe. Thanks for reading! I just love that Maserati taxi! Seville never ceases to amaze me! 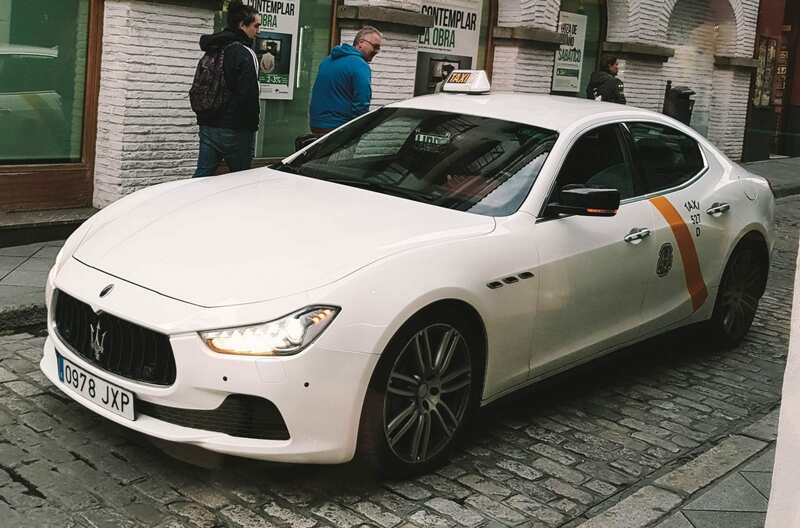 Yeah, I couldn’t believe my eyes when I saw the Maserati taxi! I just love your photos and your oufit! I’ve never been to Spain, and I’m thinking of taking a weekend trip there sometime in May, most likely Seville. So this is so helpful! Thanks for all the great tips! I will be visiting Seville later this year so will be sure to keep this blog to read back on. The architecture looks amazing and I cant wait to see where they filmed the GOT scenes. Thanks Michelle! 🙂 It really is! What a picturesque city! I’m likely heading to Spain this summer so I will have to make sure to stop by Seville for a few days. Thanks for sharing! You should! There’s so much to see and the people are so nice! Oh my god. 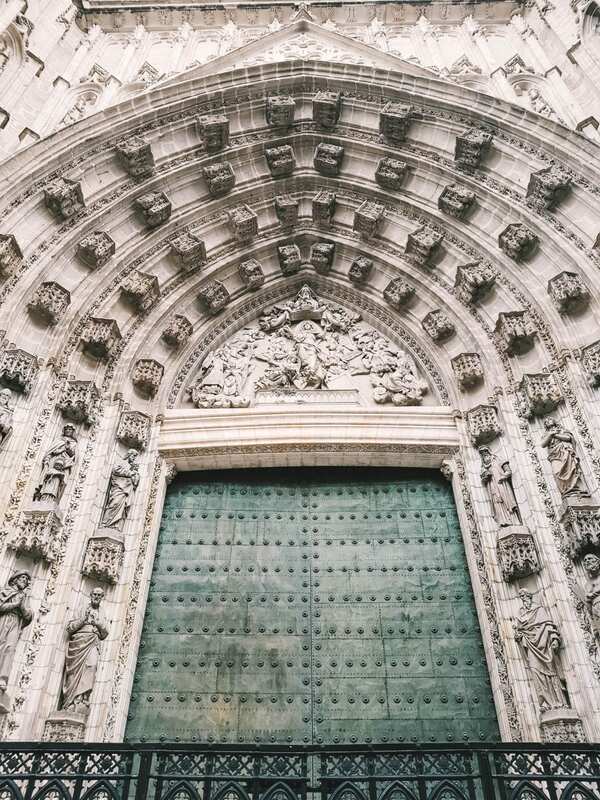 I have always wanted to go to Sevilla and you are making me obsessed. The Venice of Spain.. I need to see it. Thanks for sharing! Thanks Marcel! 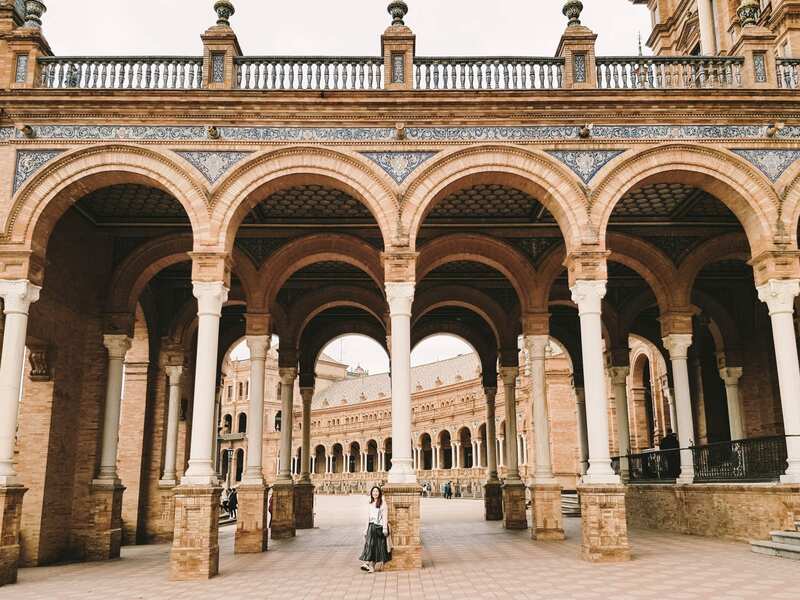 You should add Sevilla to your list the next time you’re planning a trip to Spain. I loved the weather in Winter actually, it wasn’t too cold and was perfect for walking outdoors 🙂 Next time I will try Spring! oh wow! this looks absolutely stunning! I can’t wait to travel Europe more! Omg I loved following your journey through Seville! Amazing pictures and loved to see how you visited the same places of scenes from game of thrones! how cool!! Beautiful pictures and some really interesting info. Can’t wait to visit it now. The river view and the sunset are at the top of my list now all thanks to this blog. Thanks so much for reading Purvi 🙂 the sunset really is spectacular here. 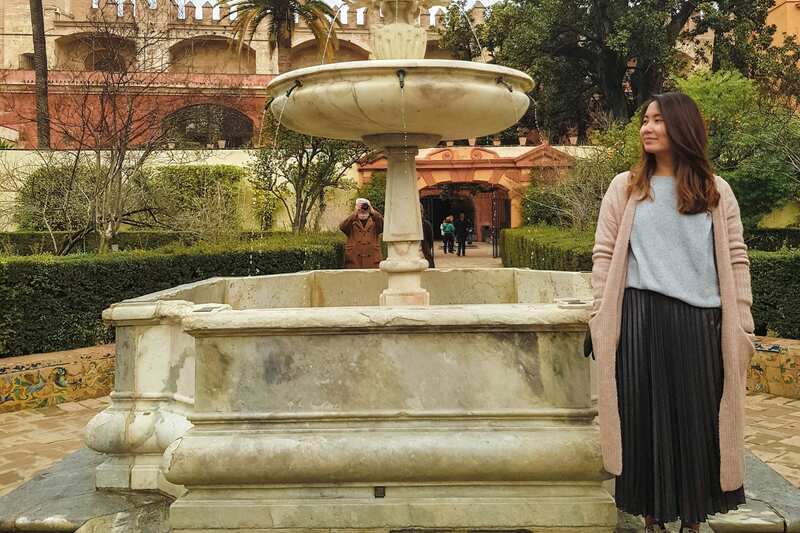 I love the photos and your post made me wanna visit Sevilla too because I love Spain. I appreciated the mention to Game of Thrones too since I’m a fan of it. Thanks Lingue! That’s so nice of you 🙂 I loved the GOT element of the city too. 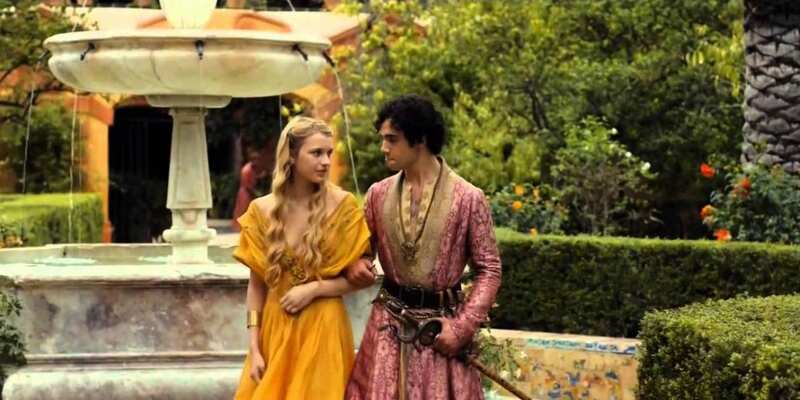 So perfect for Dorne! Spain has so many beautiful places and features. Sevila has a great culture and history. 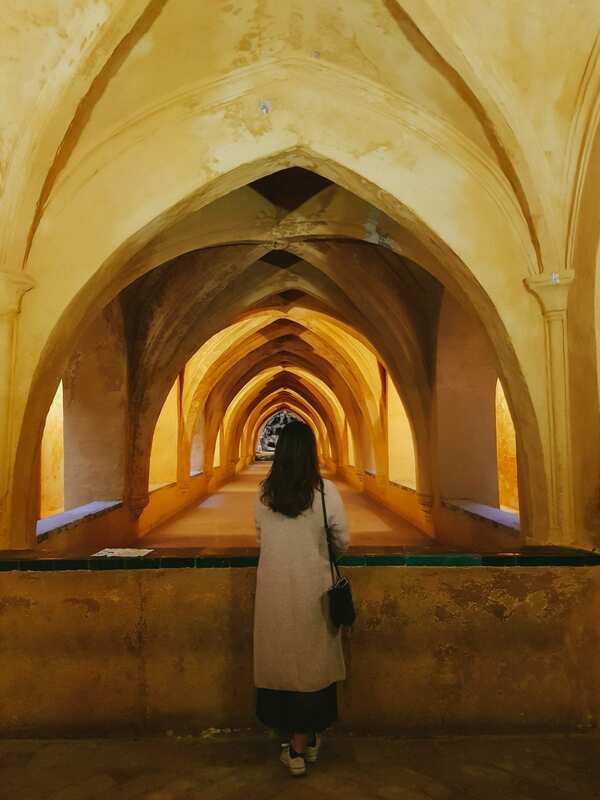 Seville is so beautiful and I love your photos! I think I will place this in my Euro Trip wish list for when I go next year! 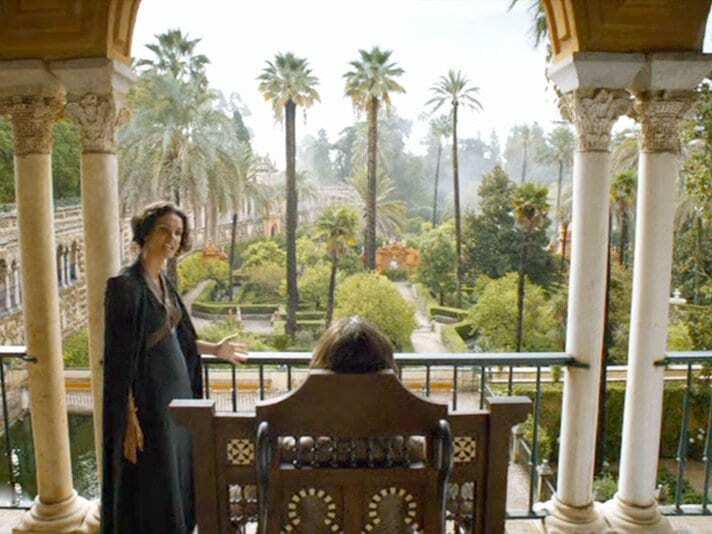 I just want to see everything in your list, the Guadalquivir River, Spanish square, Seville Cathedral, and omg GOT fan here so I want to see Dorne as well! Thanks for sharing! Beautiful! Spain is definitely on my travel bucketlist! I absolutely love Spain and Sevilla seems to be the next city that I’ll visit after Valencia this year. I love that you came up with this great itinerary and the places look so impressive! Thanks for sharing! That sounds awesome! Thanks for reading Karo 🙂 I hope you have the best time in Valencia! 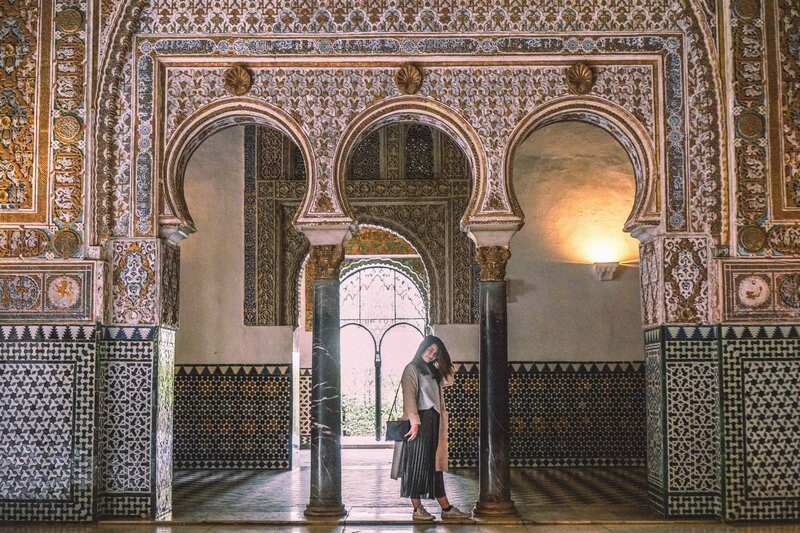 I don’t think I was able to leave a comment on my first visit here, but this post really became sort of a bible for me while planning our Seville trip. While there were many blog posts, your photos and descriptions drew me the most and sold me the most on the places you went to. I think my whole trip is based around this single post of yours alone, with reinforcement I found on a couple of other blogs. So, thank you for sharing your experience!